Silicone resin based interior paint. Troubleshooter for walls and ceilings subjected to intensive sidelight. CapaSilan is an emission-minimised and solvent-free, mineral matt, scrub-resistant interior paint with outstanding properties. CapaSilan presents a new generation of interior paints. 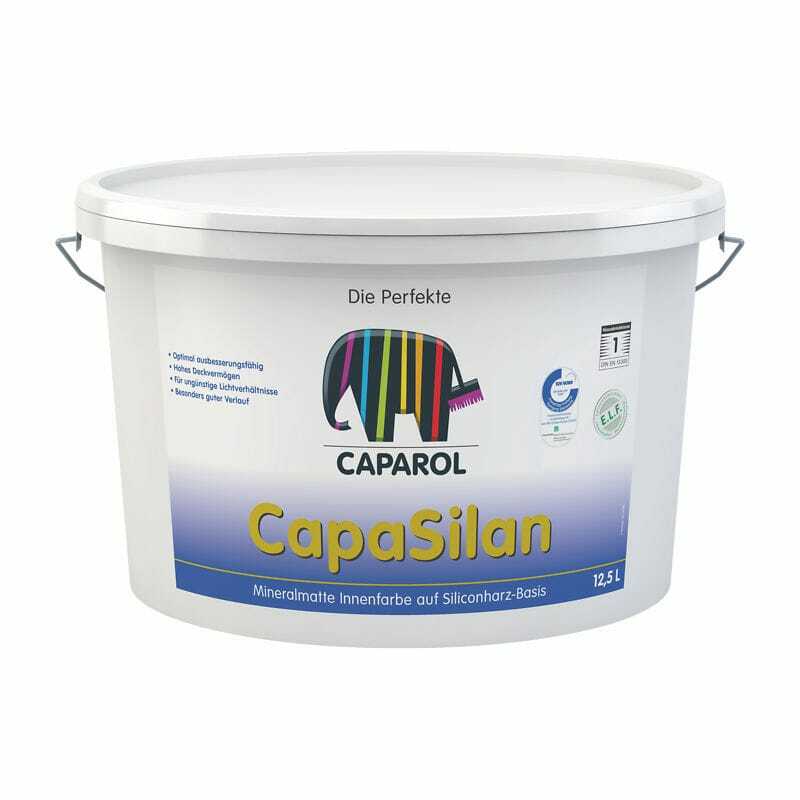 Due to the excellent application properties of CapaSilan and the long open time it is possible to avoid marks from lapping even in rooms with adverse lighting conditions (sidelight/grazing light). Also suitable as a renovation paint on acoustic ceiling boards and acoustic render/plaster. Long open time – for large-area application on seamless surfaces without lapping. Allows optimal repairs (easy to touch up).